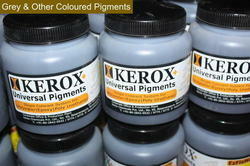 We are engaged in supplying a wide range of Pigments which are manufactured from high quality raw material. These pigments are used for the colouring of fibreglass Reinforced plastics (FRP). With longer storing capability for about 6 months at 25 deg, these pigments are highly demanded in the market. 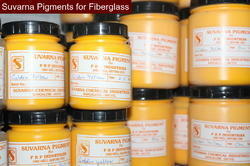 Suvarna Pigments can be mixed readily with polyester. Though small quantities can be hand stirred while we can use a paddle mixer for large quantities power mixing is necessary. Special shades can be matched if the requirement is large.